To sample one of the greatest sandwiches in town, venture east of Silver Lake, to the often overlooked neighborhood of Atwater Village. A myriad of intriguing independent shops, cafes, and restaurants abound on the stretch of Glendale Boulevard below San Fernando Road. 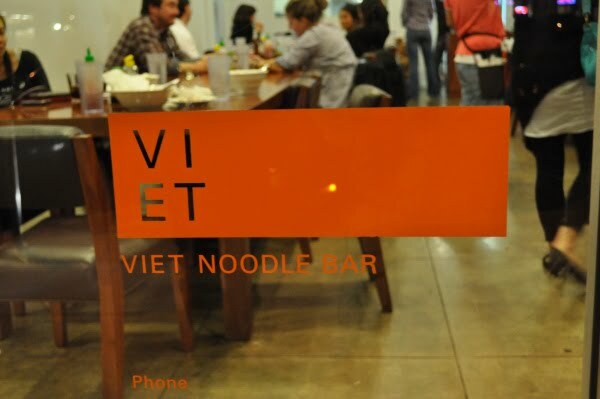 Although Viet Noodle Bar—a more upscale offshoot of Silver Lake's Vietnamese Soy Cafe— is almost completely unmarked from the outside, it welcomes patrons with an open, well-lit, minimalist interior. At this stylish yet unpretentious eatery, what you see is what you get. 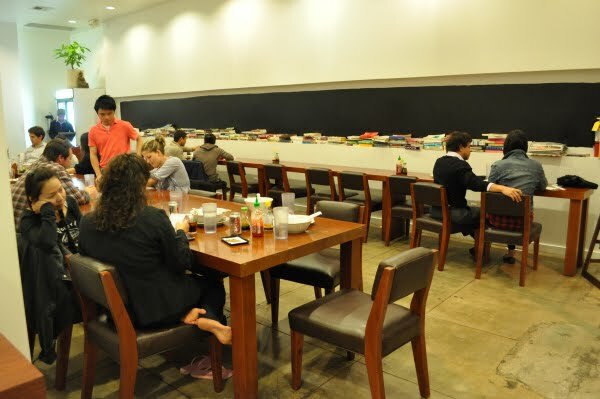 A long communal table is the main seating option, but if chatting it up with your neighbors isn't your thing, go for an individual table on the opposite side of the restaurant. 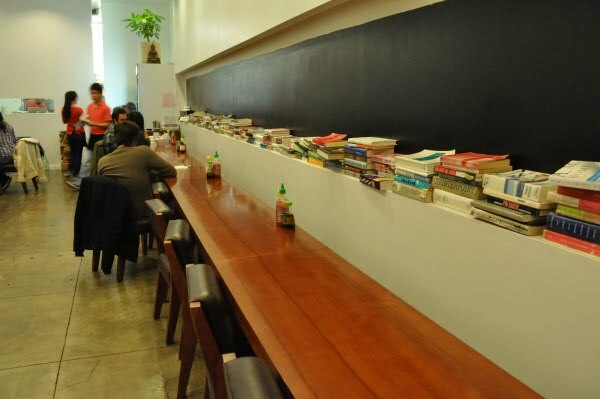 If you're dining solo, Viet Noodle Bar's huge selection of books will have you entertained well through your meal. We began with the sweet and refreshing cinnamon soy milk. Also on the beverage menu is the infamously strong Vietnamese coffee, which is sure to give even die-hard caffeine addicts the boost they need. 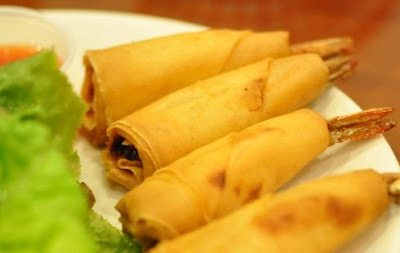 The freshly-made shrimp rolls were the perfect—albeit safe—starter. Served with a tangy dipping sauce, they were crisp, flavorful and not overly greasy. Thankfully, an entire shrimp was used in each roll, not just mashed up imitation seafood, thus taking a standard appetizer to a truly exceptional level. 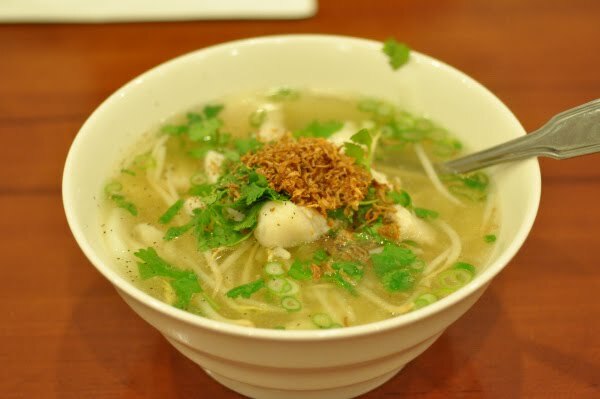 While we can't say that Viet Noodle Bar's pho is the best we've ever had, it's certainly worth trying. Don't get your dining companions wet as you slurp up the tasty noodles and broth! Contrary to what the eatery's name might suggest, the star of Viet Noodle Bar's menu is actually the bánh mì. 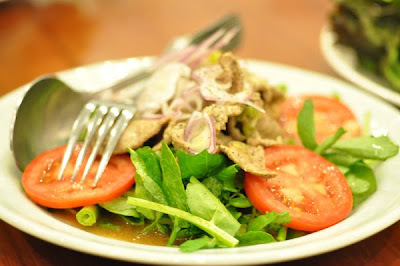 For those of you who have yet to experience this delectable Vietnamese street food (have you been hiding in a cave? 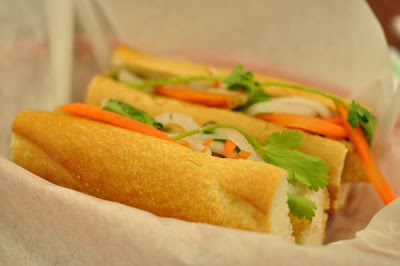 ), these sandwiches consist of pickled daikon and carrots, cucumbers, cilantro and pâté, all enveloped in a crunchy baguette, a reminder of the French occupation of Vietnam. Bánh mì has taken the country by storm, even making it onto Virgin America's inflight menu! At Viet Noodle Bar, lemongrass chicken and shiitake-tofu varieties are available. They are without question the best bánh mì sandwiches we've had in LA, far superior to those offered from any other pho spot or food truck. While Viet Noodle Bar's offering might not be the most authentic, it is still mind-blowingly good. With its perfectly crisp bread, sweet flavor and delicate use of cilantro, this is perhaps my favorite sandwich in town. 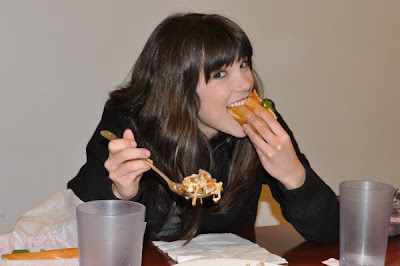 Here is your favorite Foodie Fridays co-host, downing a bánh mì while doing "The Abby"... we know you've missed it! We also enjoyed Viet Noodle Bar's light and refreshing beef salad and the firm and eggy shrimp crepe, which pairs nicely with its accompanying peanut sauce. 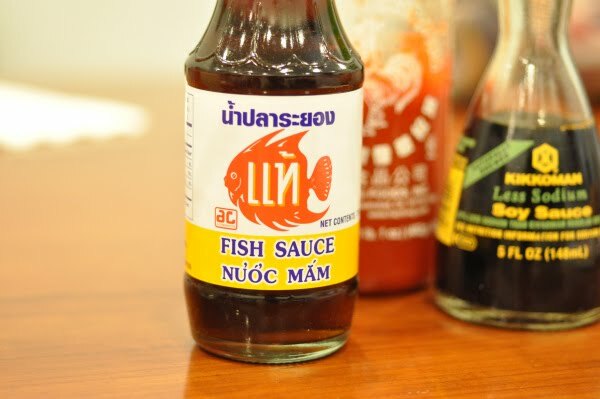 Best of all, if any of the dishes aren't to your liking (which we doubt), you can do it authentic Vietnamese style and douse everything in fish sauce! While prices here might be slightly higher than at comparable spots, so is the quality of what you're paying for. The food is freshly prepared and many dishes are made from organic ingredients. So what are you waiting for? Get your bánh mì on! 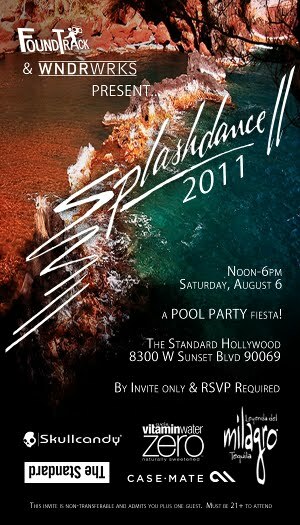 NEXT TIME on Foodie Fridays: We'll be checking out new Hollywood hot spot La Vida. HOT NEW Music Video -> DE SIGNER's "Nous Nous"